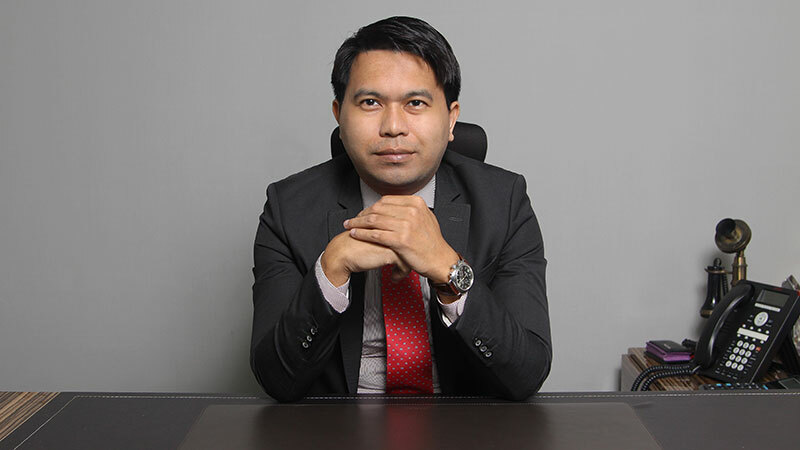 UAE-based Filipino lawyer Barney Almazar. Lawyering should not be confined to defending a client in court. A lawyer can also use his profession to promote social justice, according to multi-awarded UAE-based Filipino lawyer Barney Almazar. “The legal profession is not just a career path but a responsible and accountable vocation to care for the lives of everyone and not just a few,” said Almazar. It is because of his unrelenting pursuit of striking a balance between business interests and social justice in his dealings with many entrepreneurs that earned him recognition as Southeast Asia Young Lawyer of the Year. Expatmedia.net talked to Almazar about being a lawyer in the UAE and life as an expat. Have you always wanted to be a lawyer and what made you decide to be part of the legal profession? I have always been interested in the law but I felt that a lot has to be improved in the legal system. I told myself that when I become a lawyer, I will make sure that the next generation of lawyers will live and work in a much different environment as it was before, where the real action happens not just in the court or corporate boardroom but in the streets and homes where people live and engage the communities. I am very thankful that my efforts have been recognized when I was named as one of The Outstanding Young Men (TOYM) of the Philippines for Law in 2015. In 2016, the Philippine Senate has commended my contribution in protecting the interests of more than three million overseas Filipinos in the Middle East. Where did you take up law and the Bar? I belonged to the first batch of the MBA-Juris Doctor dual degree program of De La Salle University and Far Eastern University in the Philippines. I majored in International Business and European Union Law at the University of London, Robert Schuman University in France and Zagreb Law School in Croatia. I was admitted to the Philippine Bar in 2009 and I’m a holder of UAE Legal Consultancy license since 2013. We learned that you won the Southeast Asia Young Lawyer Award? Can you tell us more about it? I was first nominated in 2016 for the Young Lawyer of the Year Philippines which I won. I was also nominated for the 2017 Southeast Asia Legal Awards for Young Lawyer of the Year, which I also won. What made you decide to practice law in the UAE? It is a challenge for me as a young lawyer to ensure that the legal profession is not just a career path but a responsible and accountable vocation to care for the lives of everyone and not just a few. I come from a country where human labor is considered as a “commodity” for export, a means to an end for more than 10 million Filipinos around the world. The very reason why for the past four years, I have devoted my practice in bringing foreign investments to the Philippines, promote Philippine brands to the Middle East, creating more jobs back home. What do you like about expat life in the UAE? UAE provides an equal playing field for those who are starting their career or business. The infrastructure needed for one to succeed are readily available and it is up to the individual to exploit these resources to reach his goals. Is there anything you want to change about life as an expat in the UAE? I am grateful that part of my job is to travel to the Philippines on a monthly basis. Because of that, I can spend time with my family and friends back home. A lot of my countrymen have not seen their loved ones for years, even decades. I hope that the UAE and Philippines can make travel as well as immigration requirements to and from UAE a lot easier and affordable, especially for the family members of UAE residents. Lawyering can be a stressful job, what do you do to unwind? My job requires meeting a lot of commitments but I do not allow stress to affect my performance. I travel every two to three weeks across Asia and the Middle East and have to work in different time zones. The best way for me to unwind is to be in a quiet place and reflect on what I have accomplished and plan for the next endeavor. What message do you have for Filipino expats in the UAE? UAE is only a temporary place for an OFW. Unlike in other countries, you can never be a permanent resident or citizen in the UAE even if you work here for decades.